our first album "en" gave us so much inspiration for the coming year. We are sure that 2012 will be even better and we can't wait. Thanks so much to everyone who has helped and supported us and enjoyed our music. The adventures of the fab 2! We are happy to announce our last gig for this year at THE BOWERY. It will be on Thursday 8th December 7:45pm. (detailed info at the end) This year we had two really memorable gigs. The first was a concert to raise money for the disaster in Japan. We organised this with help from our friends on 30th April, called Hope For Japan. Acts (Paul James, Jess Bryant, Alan Lacroix and Ruban Byrne) played heart felt music and La Brioche cafe where we held the concert created a warm and intimate atmosphere which felt right for this event. Hal did a great job promoting this event and Steff and Harue worked hard at reception with last minute help from Mr Shimada. Taka from Weastvision created all the visuals for this event and were simply amazing. Another charity group Seven Beach Aid joined us at the last minute and sold photos taken at the affected areas. We raised £640. 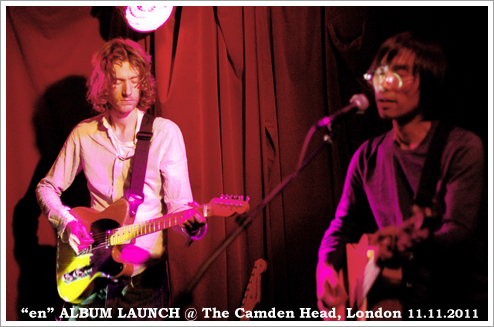 The other gig was the launch of our new album "en", on 11th of November at The Camden Head. 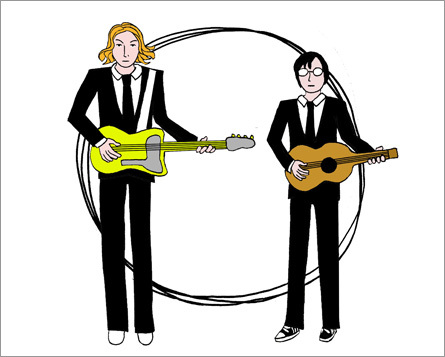 We had been planning to release the album for a long time and eventually it was released through Weast Records. We were so excited about it and were happy to play for the audience who were warm and supportive. New friends were made at the launch which made it all the more special. So now our last gig for 2011 is coming up quickly. We want to make this gig as GREAT as ever and as always we appreciate you support! The launch party last Friday (11th November) of our new album "en" was a great success. It felt like a good starting point for the next step. We would like to thank everyone who came down to the launch. We would also thank people who couldn't make it but sent us heart-felt messages. Thank you! We would love to keep in touch with you. 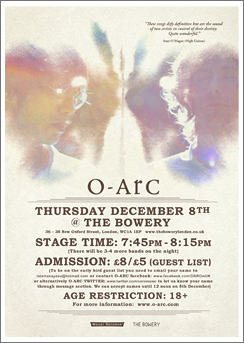 We are also happy to announce that we have a gig at The Bowery on Thursday 8th December. This will be our last gig of the year. We hope you can make it. We appreciate your support. Weast Records. If you where wondering why we have called the record "en"
which it creates such as harmony, possibility, eternity, universe, truth. atmosphere. It's very soon but hope you can make it. See you there!